This photo was sent to irishmirror.ie by Elaine from Limerick of what appears to be a ghost. 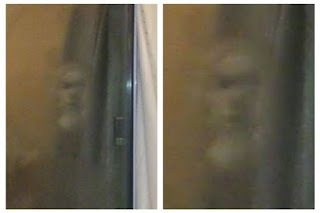 Limerick has a rich history of sightings of ghosts and spirits across the history, and here is one proof. Elaine said: “We know our kitchen is haunted, the first resident of this house, an old man is stuck here. We later found out he died of a heart attack in the kitchen.